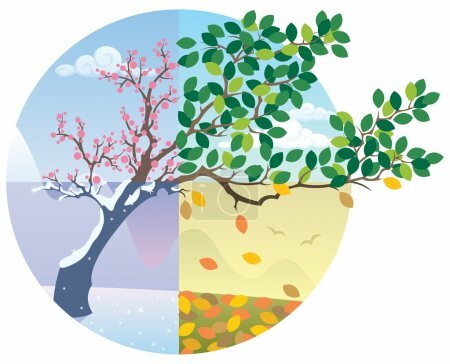 Cartoon illustration representing the cycle of the four seasons. No transparency used. Basic (linear) gradients.